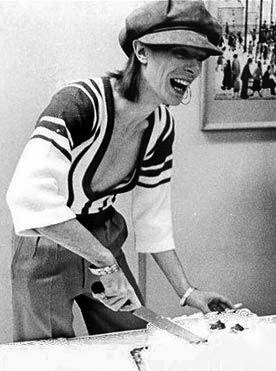 You are currently browsing the archives for the David Bowie category. landed in Cleveland, Ohio 38 years ago today. 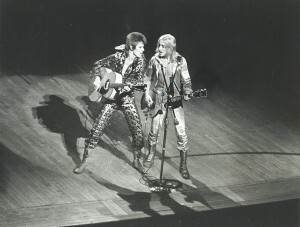 This performance marked the opening show of the US Tour and was held at the Cleveland Music Hall. The European cannon is here – well almost. We’ve been teased with this all summer and now with less than two weeks to go, it’s safe to start counting down. On Tuesday, the 28th of September the deluxe versions of David Bowie’s 1976 classic Station To Station arrives in the USA. Available in multiple formats this return of the Thin White Duke is highly anticipated. This photo and info (below) originally posted on www.bowienet earlier this year. Disc 2 DVD = 5.1 Station To Station surround sound mix and original stereo album. 5.1 – Mixed by Harry Maslin. 2 x CDs = Uniondale, Nassau Veteran’s Memorial Coliseum March 23rd, 1976 – Mixed by Harry Maslin. 08 – Life On Mars? July is obviously the month to invest in all your favorite (British) music magazines. 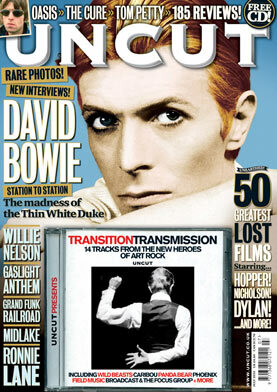 Don’t miss the July issue of UNCUT featuring David Bowie on the cover. 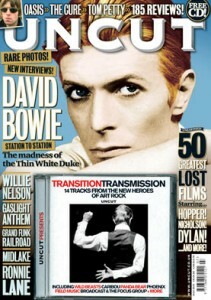 This issue promises the scoop on the cocaine, paranoia and the madness of the Thin White Duke. 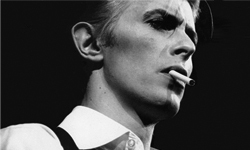 Here you’ll find the inside story of Station To Station as told by the Dame’s key players. On stands now. David performs (lip syncs) Space Oddity on 1969 Dutch Television. Turn on and treat yourself to this lovely oddity right now. Thanks to Sean ‘Masslayer’ Doherty for sending this our way. 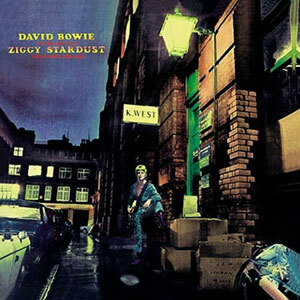 David Bowie’s The Rise and Fall of Ziggy Stardust and the Spiders from Mars: Gibson’s Classic Album of the Month. In early 2010 RCA will release a special four disc version of David Bowie’s Station To Station. Originally released in January 1976, the new expanded edition will include the complete Nassau Coliseum show from 1976 amongst many other goodies.